Our prevailing principle will always be the protection of your privacy and the security of your information. If you are using our Services we know that privacy and security are of the highest importance to you. We take all reasonable steps and utilize the best free and open source tools at our disposal to protect your data from loss, misuse and unauthorized access, disclosure, alteration and destruction. We have put in place appropriate physical, electronic and operational procedures to safeguard and secure your Data. We only process your Data in a way that is compatible with the purpose for which it was collected or authorized. At all times we strive to abide by our Declaration for Distributed Online Services. We have appointed a Privacy Officer who is accountable for our data handling practices. If you have a question or complaint about our data handling practices, please contact us at privacy@equalit.ie. This Privacy Notice is effective as of October 1, 2016 and forms an integral part of our Terms of Service. In this privacy notice (Privacy Notice), the terms “we”, “our” and “us” mean eQualit.ie. This Privacy Notice governs our practices with respect to Data that we collect through the Deflect Service about your organization’s websites that are registered with Deflect (“you”) and visitors to your Deflected websites. By Data we mean any type of information collected through the Services, including your Personal Information and metadata related to your use of the Service and visitors to your websites. Personal Information is information that identifies you or could be combined with other information, to identify you. Personal information may also be information containing details as to whether you have visited a website or your IP address if that personal information can be associated with you. The only Personal Information we collect from you is your email address and the name of the website you are registering. We may also ask to specify the name of the organization this website represents and other details that may help us qualify your eligibility for Deflect, if relevant. Other data may include any Personal Information that you voluntarily provide us through our website, emails, or help tickets that are associated with your user account. We keep your Personal Information for as long as you are registered with us or until you delete your account with us. The IP addresses of visitors to your Deflected website Metadata associated with visitors’ browsing activity on your website. Session identifiers. While logged in, we keep a temporary session identifier on your computer that your software uses to prove your authentication state. This is deleted when you log out or the session expires. When you are editing your website protected by Deflect, you must authenticate yourself as the owner of the account. This will set a 24 hour cookie on your computer proving your credentials to the Deflect system and allowing you to access the backend. Emails, support tickets and associated metadata. We use the Data we collect (including your Personal Information) to provide our Services, namely Deflect services for your website, administering your account, and managing our relationship. Some examples of how your Personal Information is used includes (i) registering accounts and authenticating your access to the Deflect Dashboard and (ii) communicating with you about Deflect. What about metadata? By default, we collect metadata on your website’s visitors. This is otherwise known as logging, and is used to provide you with statistics. We also need this data in order to protect your website from malicious activity, and apply advanced analytics on the metadata associated with your website’s visitors. Should you opt out of metadata collection (logging) through the Deflect Dashboard, metadata will only be retained for the time required to perform the Service. Any metadata associated with malicious activity on our network or your website we be retained indefinitely. We do not use any third-party cookies or tracking of any kind. No, unless we have obtained your prior consent or if we are legally compelled to do so. We may be forced to disclose Data, including your Personal Information, without your knowledge or consent if we receive an order, subpoena, warrant or other legal requirement issued by a court, tribunal, appropriate regulatory body or other person with jurisdiction to compel disclosure of your information, including your Personal Information. If we receive a request from a law enforcement agency for access to Data, including Personal Information in the course of an actual or potential investigation, our policy is to require the law enforcement agency to obtain an order, subpoena or warrant. It is also our policy to contest such an order, subpoena or warrant if we believe the order to be unjustified. Unless legally prohibited from doing so, we will notify you as soon as possible of any order, subpoena or warrant to provide information about you and visitors to your website, including Personal Information. Data may be used or stored by us or our service providers and our affiliates outside of Canada. If your Personal Information is used or stored outside of Canada it will also be subject to the laws of the country in which it is used or stored. In all instances, Data we collect will be protected using all reasonable technical and legal means at our disposal to prevent any third-party access. We take administrative, technical and physical measures to safeguard Data, including your Personal Information against loss, misuse or unauthorized access, disclosure, alteration and/or destruction. We have put in place physical, electronic, and managerial policies for managing and safeguarding Data. Wherever possible, we encrypt Data at rest and in transit. The only access we retain to encrypted Data is that which is necessary to perform the Services, including administrative functions. Deflect uses third-party services for the provision of its caching and logging infrastructure. We choose carefully our affiliates and third-party service providers to take comparable steps to ensure the protection of any Data that is shared with them, but cannot assume responsibility for their treatment of your personal Data. This is one reason why we strictly encrypt everything at rest. Although we take precautions against possible breaches of our security systems, no company can fully eliminate the risks of unauthorized access to Data. We cannot guarantee that unauthorized access, hacking, data loss or breaches of our security systems will never occur. Be aware of the risks and consider not transmitting Personal Information to us if you consider that information to be highly sensitive. The General Data Protection Regulation (GDPR) (EU) is a regulation in EU law on data protection and privacy for all individuals within the European Union (EU) and the European Economic Area (EEA) applicable from the 25th May 2018. This section presents as clear and transparent as possible how we deal with personal data. Under GDPR, the legal basis for the processing of the data is Recital 49 of the EU general data protection regulation 2016/679. “eQualitie” is a provider of security technologies and services. We’ve chosen Partial Online Backup – Partial Online Backup means that data is typically supported on primary storage resources due to performance requirements. We have chosen to make our log data accessible to us and our clients for 13 months. After the 13th month, old data is deleted, unless needed for a specific ongoing investigation. 8.2 How do we use the log data? With the log data we are able to build models to protect our customers. We use the data to identify, intercept and adequately mitigate anomalous behavior in the Deflect network and services (Prevention) and design better mitigation mechanisms (Mitigation). The logged data is necessary to attribute attacks against our infrastructure (Attribution). We log data at the Deflect edge. All edges have file system encryption and are subject to our log rotation policy. You can opt out from Deflect logs in the Dashboard. Regardless, we keep the logs that influence our banning of suspicious IP addresses. More information about the technical tools can be found on the Deflect Mitigation Tech page. Customers have the option to opt-out entirely of log collection with the exception of ban logs (logs influence our banning of suspicious IP addresses). Other data collected as part of hosting by Deflect shall be stored under these data retention guidelines. In the settings tab of the control panel ,you can leave “visitor logs” unchecked to opt-out of log collection. Please note that this will disable your statistics. If you have an account, log in to access and modify the Personal Information stored with your account. If you have questions or concerns about other Personal Information collected by us and would like assistance accessing that information, please contact our Privacy Officer at privacy@equalit.ie. 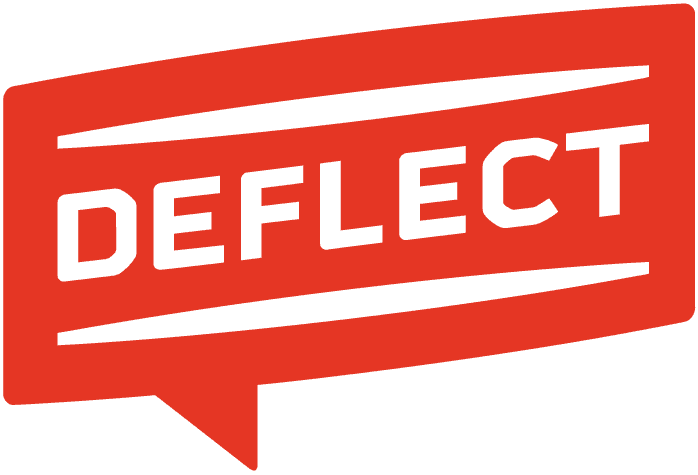 You may also choose to delete your account through the Deflect Dashboard. We may need to change certain aspects of the Privacy Notice from time to time. We will email you and post any substantive changes to this policy on our website along with the effective date of those changes.